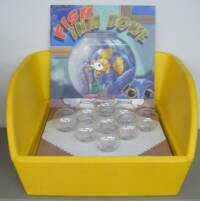 Toss ping pong balls and try to get them in the fish bowls. Comes with 6 ping pong balls Insert only. Tub not included.